Smashed (2012) BluRay 480p, 720p A married couple whose bond is built on a mutual love of alcohol gets their relationship put to the test when the wife decides to get sober. The Guilt Trip (2012) BluRay 480p, 720p As inventor Andy Brewster is about to embark on the road trip of a lifetime, a quick stop at his mom's house turns into an unexpected cross-country voyage with her along for the ride. The Pact (2012) BluRay 480p, 720p As a woman struggles to come to grips with her past in the wake of her mother's death and the disappearance of her sister, an unsettling presence emerges in her childhood home. Helter Skelter (2012) Bluray 480p, 720p Top star Lilico undergoes multiple cosmetic surgeries to her entire body. As her surgeries show side effect, Lilico makes the lives of those around her miserable as she tries to deal with her career and her personal problems. 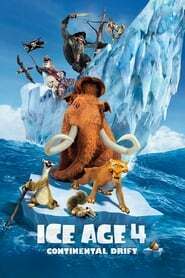 Ice Age: Continental Drift (2012) BluRay 480p, 720p Manny, Diego, and Sid embark upon another adventure after their continent is set adrift. Using an iceberg as a ship, they encounter sea creatures and battle pirates as they explore a new world. Liberal Arts (2012) BluRay 480p, 720p When 30-something Jesse returns to his alma mater for a professor's retirement party, he falls for Zibby, a college student, and is faced with a powerful attraction that springs up between them. Silent Hill: Revelation 3D (2012) BluRay 480p, 720p When her adoptive father disappears, Sharon Da Silva is drawn into a strange and terrifying alternate reality that holds answers to the horrific nightmares that have plagued her since childhood. Battleship (2012) BluRay 480p, 720p A fleet of ships is forced to do battle with an armada of unknown origins in order to discover and thwart their destructive goals. Helpless (2012) BluRay 480p, 720p A man searches for his fiancée who vanished without a trace just before their wedding ceremony, only to discover the shocking identity of her. 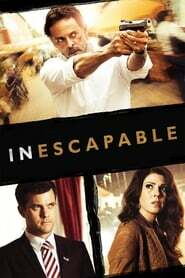 Inescapable (2012) BluRay 480p, 720p Years after he left Damascus under suspicious circumstances, Adib Abdel Kareem must confront what he left behind when his daughter goes missing. Sightseers (2012) BluRay 480p, 720p Chris wants to show girlfriend Tina his world, but events soon conspire against the couple and their dream caravan holiday takes a very wrong turn. Rise of the Guardians (2012) BluRay 480p, 720p When the evil spirit Pitch launches an assault on Earth, the Immortal Guardians team up to protect the innocence of children all around the world.